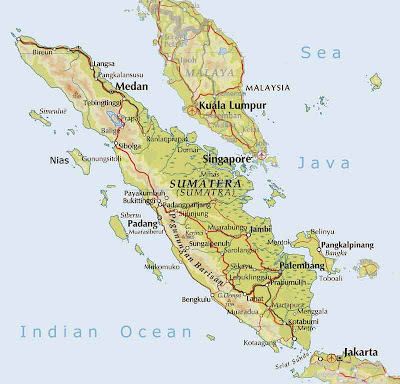 Sumatra was known in ancient times by the Sanskrit names of Swarnadwīpa ("Island of Gold") and Swarnabhūmi ("Land of Gold"), due likely to the gold deposits of the island's highland.The first word mentioning the name of Sumatra was the name of Srivijayan Haji (king) Sumatrabhumi ("King of the land of Sumatra"), who sent an envoy to China in 1017. Arab geographers referred to the island as Lamri (Lamuri, Lambri or Ramni) in the 10-13th centuries, in reference to a kingdom near modern day Banda Aceh which was the first landfall for traders. 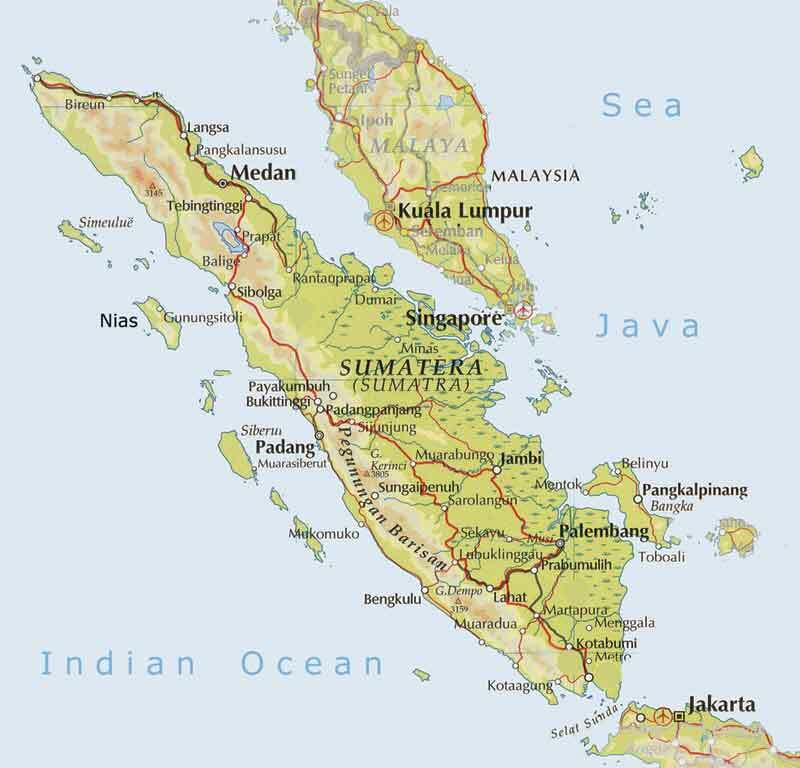 Late in the 14th century the name Sumatra became popular, in reference to the kingdom of Samudra Pasai, which was a rising power, until it was replaced by Sultanate of Aceh. Sultan Alauddin Shah of Aceh, on letters written in 1602 addressed to Queen Elizabeth I of England, referred himself as "king of Aceh and Samudra". The word itself is from Sanskrit "Samudra", meaning "gathering together of waters, sea or ocean".